11-28-2011 06;53;24AM, a photo by bucklesw1 on Flickr. 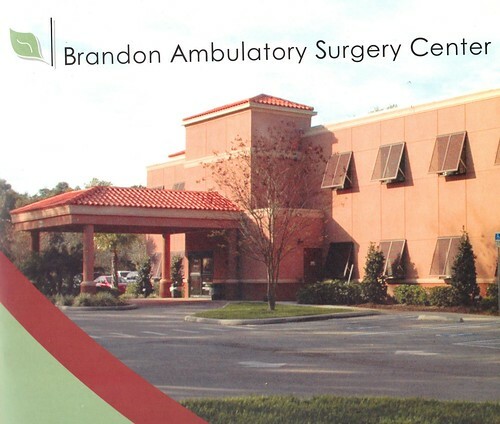 I have to be at this place by 6:30 this morning for an out-patient operation, a little slicing and dicing involved this time. The instructions in this folder insist that I be confined to my bed for the next few days and I overheard my wife and daughter muttering something about disconnecting my computer if they are disobeyed. 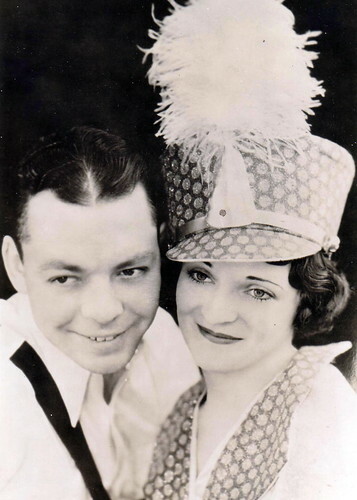 Barnum%20&%20Bailey%20Title, a photo by bucklesw1 on Flickr. 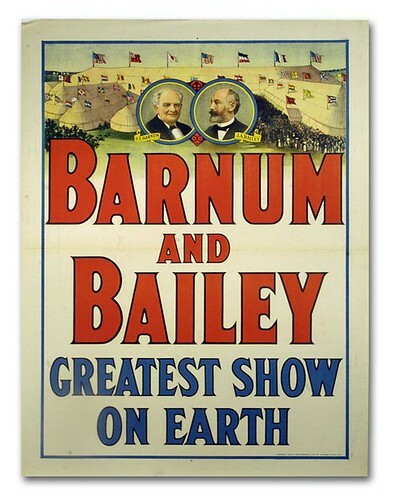 This great lithograph from 1915 presents a very crisp and clean image on behalf of Barnum & Bailey. 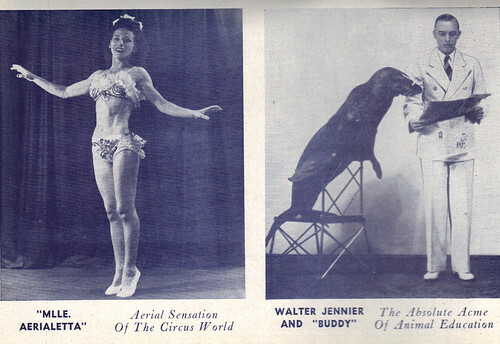 A bold presentation of the circus title - under the big top and portraits of the show founders. 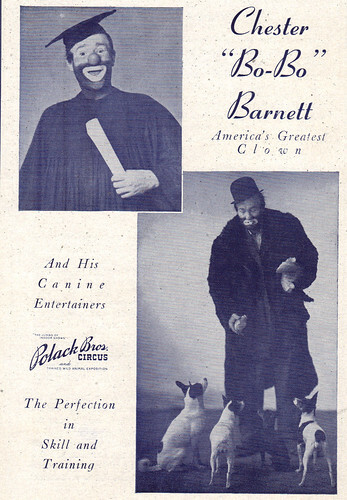 Classic advertising and a fine circus poster promoting "The Greatest Show on Earth." bentley%20cannon%20shot, a photo by bucklesw1 on Flickr. number of years ago on a Bentley date in Hackensack, NJ. 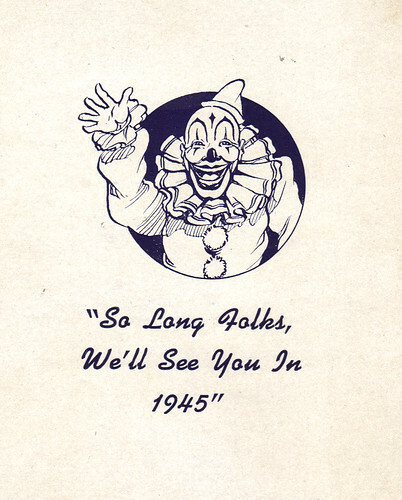 thankful for all the wonderful Showfolks we've seen and met over the years. PS I guess it's too early (?) for someone to have commented on what a "high caliber" family the Smiths are. MelHall 44, a photo by bucklesw1 on Flickr. 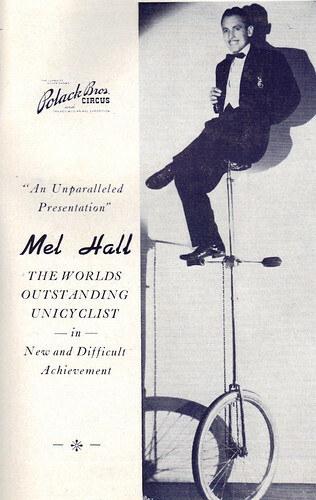 Mel Hall was also on the Karston theater unit in 1949. 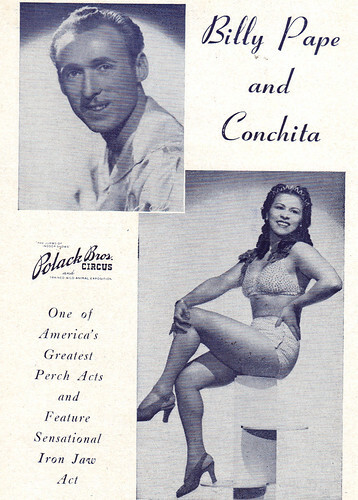 He was quite a gentleman and performer. Gargantua1, a photo by bucklesw1 on Flickr. 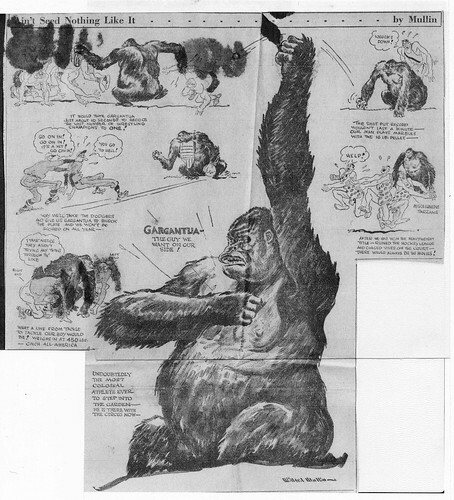 Pic of Gargantua is from Mack's (MacDonald) 1937 - 1939 scrapbook. 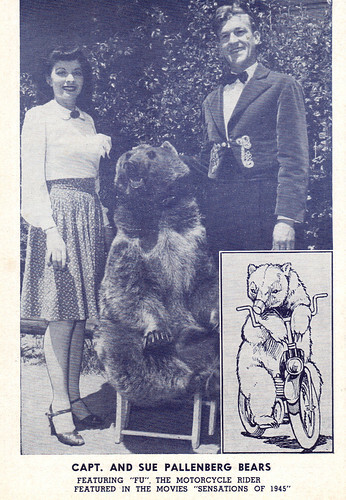 It's from a newspaper when Mack was with RBBB show. Little the worse for wear. Pasted down and folded over. rhino2, a photo by bucklesw1 on Flickr. 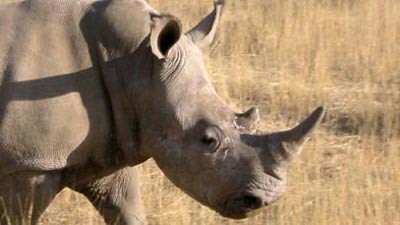 Rwanda will start importing rhinos and lions from South Africa next year, after its own wildlife was decimated by poaching and conflict. Rwanda has only one rhino, while lions disappeared when refugees returning home after the 1994 genocide occupied parts of a national park. Tourism officials say they have begun fencing the park and work will be finished in February next year. Highly endangered mountain gorillas are Rwanda's main tourist attraction. Rwanda’s tourism director Rica Rwigamba says, "We have began fencing the park. The work will be finished in February 2012 and after that the reintroduction of these species will be one of our priorities." The mountain gorillas are concentrated in the Virunga Massif that straddles the border between Rwanda, DR Congo and Uganda. 11-27-2011 11;47;09AM, a photo by bucklesw1 on Flickr. 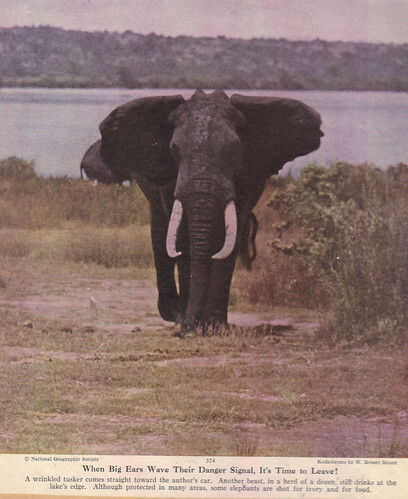 This is relative material from my mother's scrap books, mostly National Geographic. 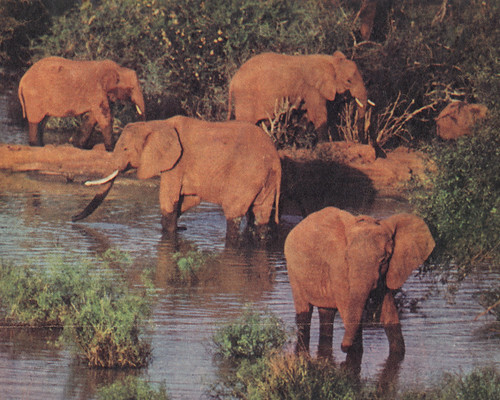 "The famed "Red Elephants" of Tsavo National Park water leisurely at Mudanda Rock. 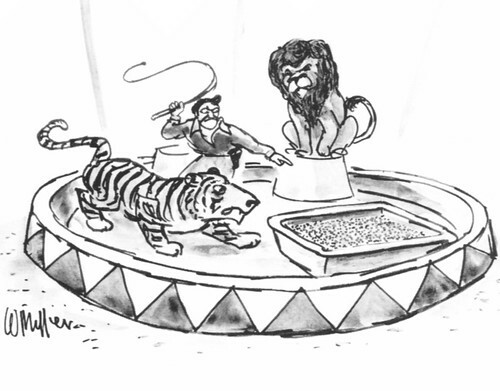 Then they spray themselves with red mud and, rebeautified, go back into the jungle." 11-27-2011 11;35;57AM, a photo by bucklesw1 on Flickr. 11-27-2011 11;50;30AM, a photo by bucklesw1 on Flickr. 11-27-2011 11;43;06AM, a photo by bucklesw1 on Flickr. 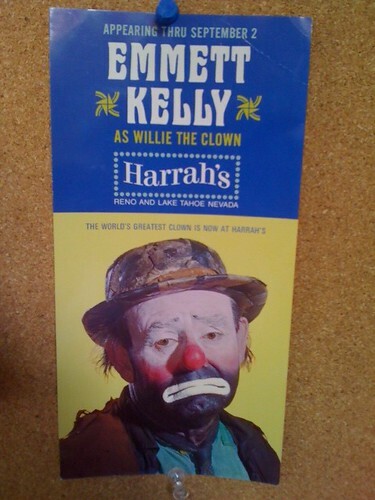 Reverse Side of Emmett Kelly Photo. 1420111123130107001_t160, a photo by bucklesw1 on Flickr. David "Cannonball" Smith plans to go out with one last bang this Sunday, concluding his high-caliber career in the city where he began performing as a professional daredevil. The 69-year-old will blast out of a 36-foot-long cannon, soaring six stories over the floor in the Ford Center to land in a net, in the climax of Hadi Shrine Circus. He plans to quit going ballistic after this circus closes, grounding a career that's sent him sailing over Ferris wheels, a baseball scoreboard and outfield fence and the international border between the United States and Mexico. 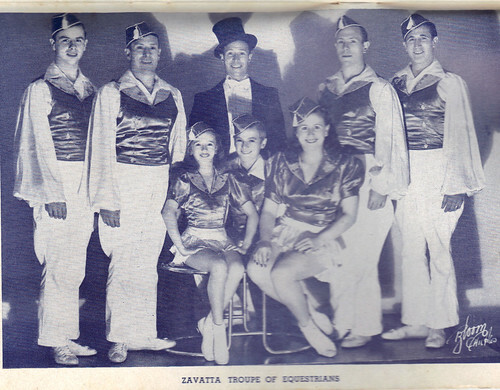 Smith, a former math teacher who stepped out of the classroom to soar in the circus, dove, literally, into professional daredevilry in Evansville's Hadi Shrine Circus more than four decades ago. He made his entrance as a sponge diver, leaping off a beam in the 42-foot-high Roberts Stadium, into a pile of foam mattresses collected for him locally after the giant air bag he'd shipped for the stunt failed to arrive. It looked scary, but it was easy for Smith, a high school and college gymnast. 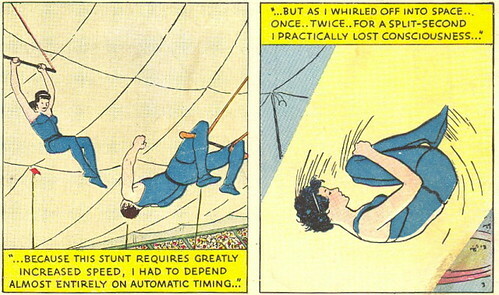 "I dove straight down and then rotated onto my back." 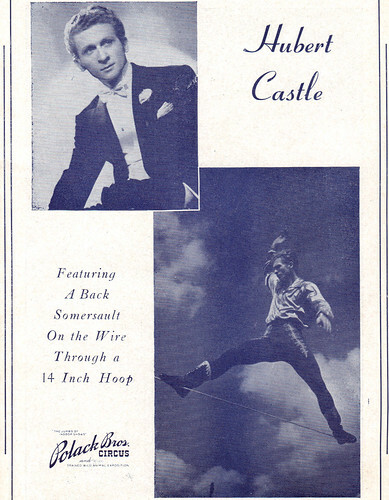 Several years later Smith left sponge diving and trapeze work to launch his career in a higher caliber act — blasting out of stage cannons. He built his first cannon when he was about 32. He declines to say exactly how the cannon works or what propels him, but the device can send its charge flying up to 70 miles per hour, into a parabola six stories high and nearly 200 feet long. 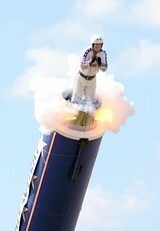 Originally, he used his math skills and a test dummy to calculate and test the physics of the cannon's parabolas. 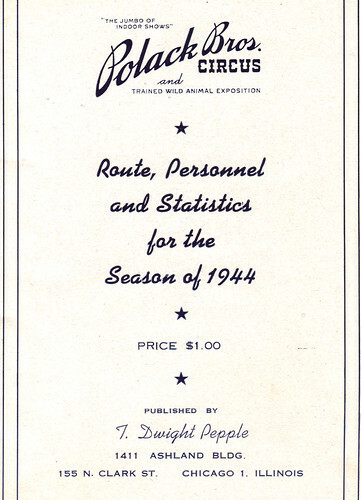 Now he relies on records he's kept in cannon flight log books over the past 40 years. 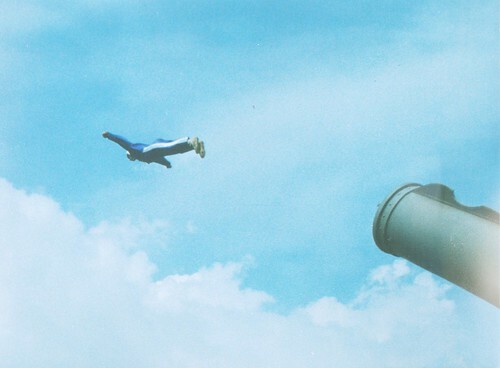 Smith held the Guinness world record for the longest human cannonball flight until this year, when his son, David "The Bullet" Smith Jr., beat it in Milan, Italy, traveling nearly 194 feet. "The Cannonball" doesn't begrudge his son's taking the record. "Records are made to be broken," he said. A breath later, however, he noted that in an unofficial shot, "I did 201 feet over a Ferris wheel in 2002." He's also matched his son's highest flight. 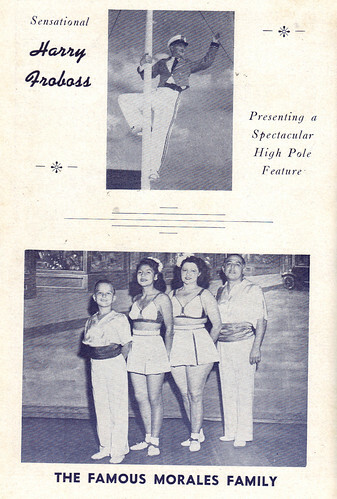 "The Bullet" Smith has gone 74 feet vertically, noted his father, "but in that 201-foot jump, I went over a Ferris wheel that was probably 43 feet, and I probably cleared it by 30 feet, anyway." Smith didn't necessarily want his children to follow him into cannonballing, he said, "but I didn't have a choice. I mean, kids, they grow up watching their dad do that stuff and then they want (a cannon) of their own. What am I going to say?" He has said "yes," building eight cannons for his family to get into the act. So far, his wife, six of his children and a niece and, this year, her husband, have gone ballistic for a living. His daughter, Jennifer Smith Schneider, blasted through the air in Roberts Stadium during a monster truck show and competition just a couple years ago. The Hadi Shrine Circus hasn't booked a human cannonball in years, however, says Joe Vezzoso, the annual circus's executive director. Limited by the shorter floor span and 42-foot-high beams in Roberts Stadium, human cannoneers "really had not been able to put on a very good show there," Vezzoso said. 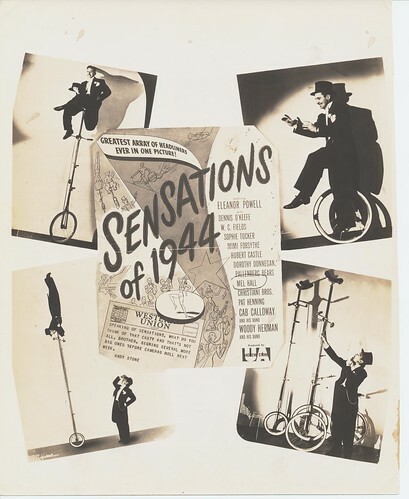 Smith has blasted out of his cannon in buildings with as little at 18 feet of vertical clearance, he said, "but I like to be up around 65 or 70 feet traveling. I'm more comfortable up there." He should have no worries in the Ford Center, with 90 feet of clearance from the floor to the rafters. Smith decided to retire this year after breaking his leg when he landed wrong in the net. He broke both bones in his lower leg. He only knew he'd broken it because he couldn't turn his foot, however, he said. "There was no pain at all — nothing." 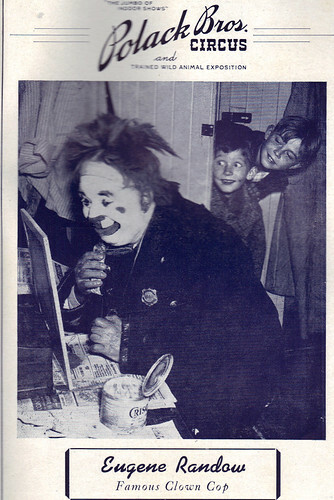 He took it as a sign, however, to pass on his act to a nephew who assisted him for that show. Smith asked the man, who had fired the cannons for 20 years, but never ejected from one, to take over for him in for the next show. "He just got in the gun and did fine," Smith said. "He filled in for me for the rest of the season." Smith has recovered from the broken leg, but he's giving the gun and the act to his nephew. "I figure God wanted me to turn it over to him," Smith said. "I'll only come back if he gets hurt or something, and I need to fill in for him." ---- Tickets: General seating, in the arena’s upper level, is $19 at the door. Reserved seats, in the lower sections, range from $21 to $32. Reserve seating may be purchased at hadishrinecircus.com, at the Ford Center or at the Shrine Circus ticket office. 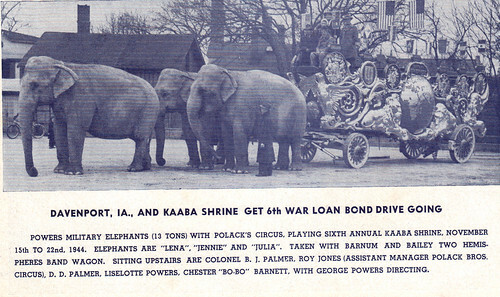 ---- Information:Visit hadishrinecircus.com or call 812-425-4376 or 800-662-5696. BucklesGR, a photo by bucklesw1 on Flickr. Scan12383, a photo by bucklesw1 on Flickr. BucklesToon, a photo by bucklesw1 on Flickr. BucklesToon1, a photo by bucklesw1 on Flickr. BucklesToon2, a photo by bucklesw1 on Flickr. 11-26-2011 07;24;02AM, a photo by bucklesw1 on Flickr. 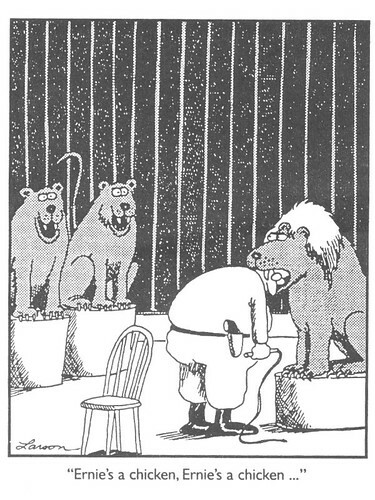 "I couldn't resist sending this!" 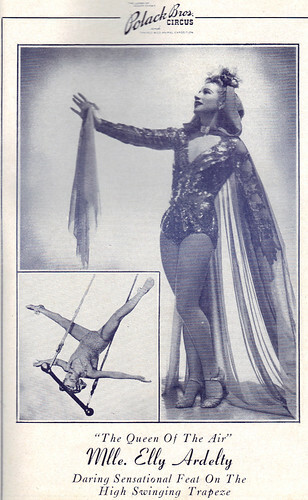 1938%20Circus%20Thrills-1, a photo by bucklesw1 on Flickr. 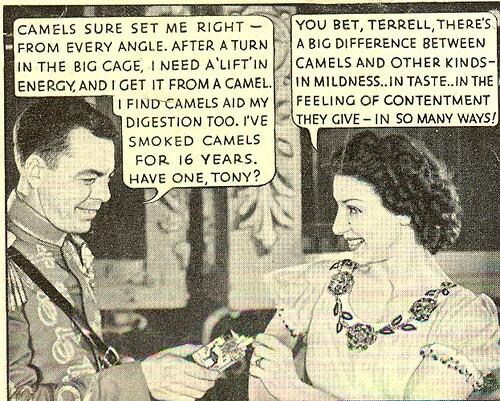 The following color panels are all from a full-page ad for Camel cigarettes which appeared on the back cover of the September 12, 1938 issue of LIFE Magazine. 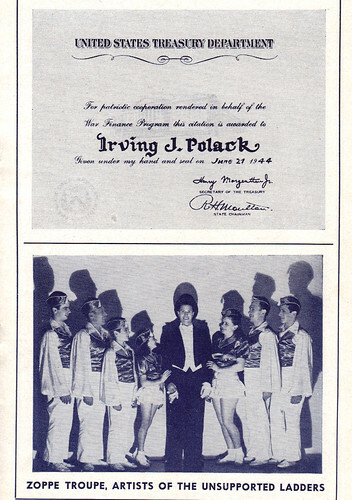 (I seem to recall that this same ad or one similar to it ran in one of the Ringling programs from around that time.) 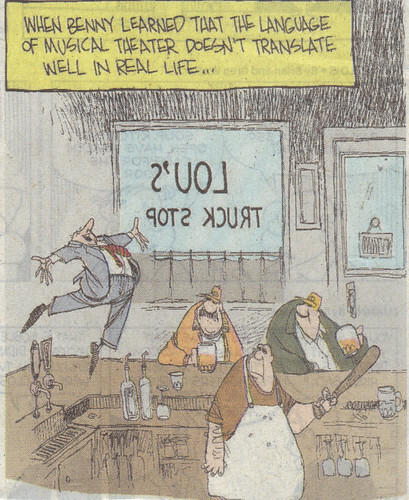 The fact that it was done in comic strip fashion tells us much about the level of sophistication of the target audience. 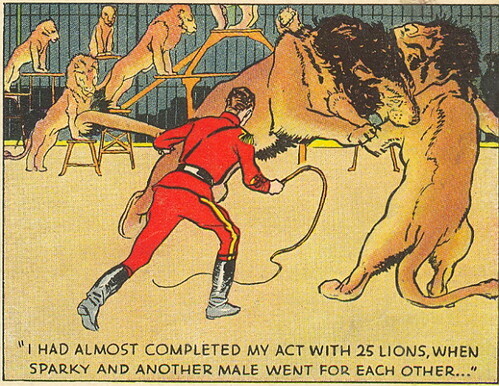 1938%20Circus%20Thrills-2, a photo by bucklesw1 on Flickr. 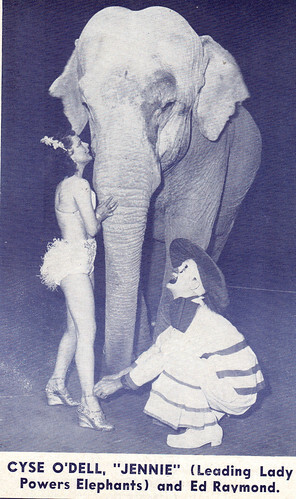 1938%20Circus%20Thrills-3, a photo by bucklesw1 on Flickr. 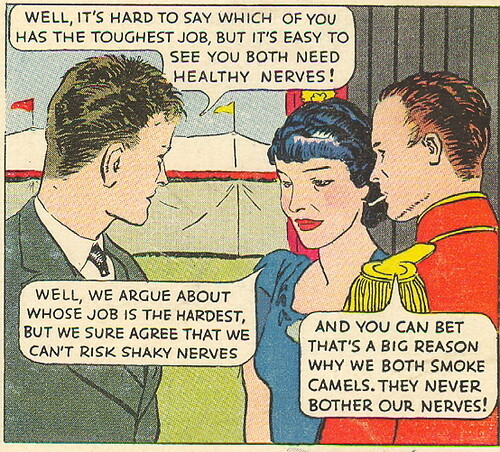 Circus%20Thrills-4, a photo by bucklesw1 on Flickr. 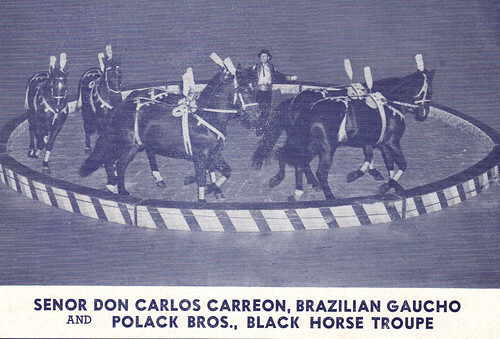 Circus%20Thrills-5, a photo by bucklesw1 on Flickr. 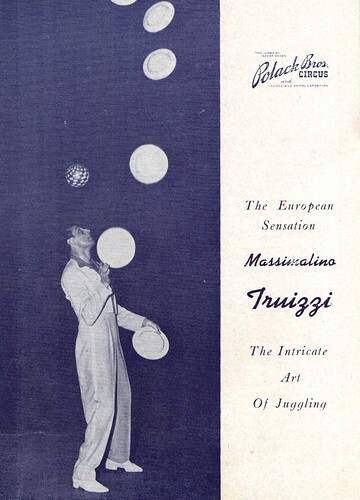 Circus%20Thrills-6, a photo by bucklesw1 on Flickr. 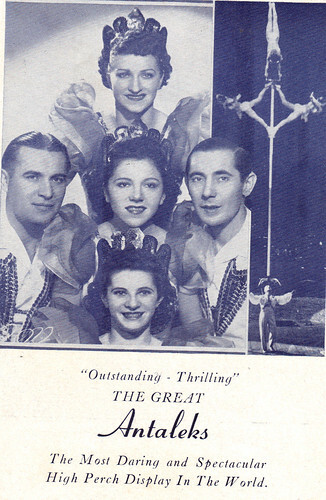 Circus%20Thrills-7, a photo by bucklesw1 on Flickr. 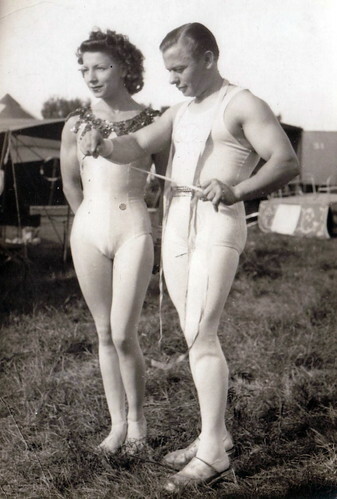 Circus%20Thrills-8, a photo by bucklesw1 on Flickr. 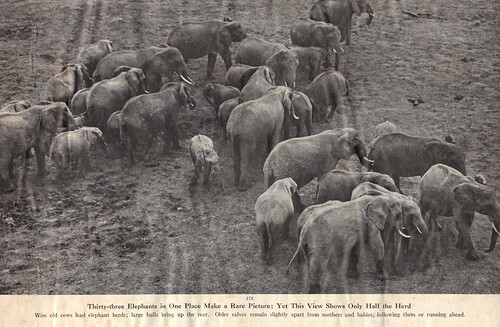 Circus%20Thrills-9, a photo by bucklesw1 on Flickr. SAVE0281, a photo by bucklesw1 on Flickr. MAIL0559, a photo by bucklesw1 on Flickr. 11-23-2011 02;02;13PM, a photo by bucklesw1 on Flickr. 11-23-2011 11;36;34AM, a photo by bucklesw1 on Flickr. 11-23-2011 01;57;57PM, a photo by bucklesw1 on Flickr. 11-23-2011 02;00;05PM, a photo by bucklesw1 on Flickr. 11-23-2011 01;55;30PM, a photo by bucklesw1 on Flickr. 11-23-2011 01;53;31PM, a photo by bucklesw1 on Flickr. 11-23-2011 02;11;24PM, a photo by bucklesw1 on Flickr. 11-24-2011 06;43;39PM, a photo by bucklesw1 on Flickr. 4ecb24c8d27f0_preview-300, a photo by bucklesw1 on Flickr. It has been 108 years since the last nail was pounded into the United States Bandwagon. And it's still going strong. 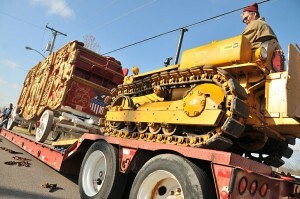 Harold "Heavy" Burdick of Baraboo's Circus World Museum loaded the wagon onto a semitrailer Monday afternoon. It's destined for New York City, where it will appear in the 85th Annual Macy's Thanksgiving Day Parade. "People go crazy for it when it goes down the parade route," Burdick said. Bode Wagon Works built the wagon for the Ringling Bros. World's Greatest Shows in 1903. 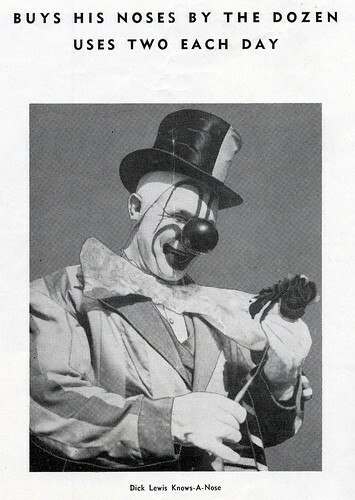 It was Ringling's main bandwagon from 1903 to 1918 and toured with Barnum & Bailey through 1920. 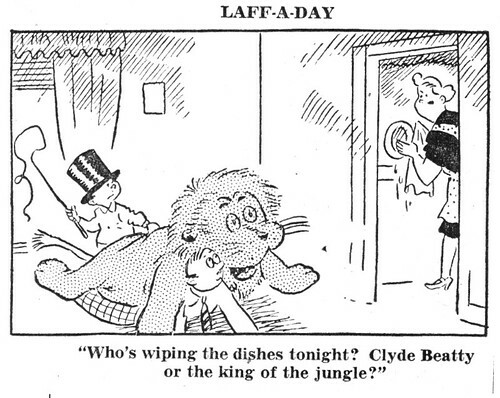 But for 70 years after that, it sat in storage. Burdick headed up a Circus World team that rebuilt the wagon in 1992. Only five of the original carvings that decorated the sides of the wagon remained. The Baraboo museum has 218 old circus wagons, the world's largest collection. 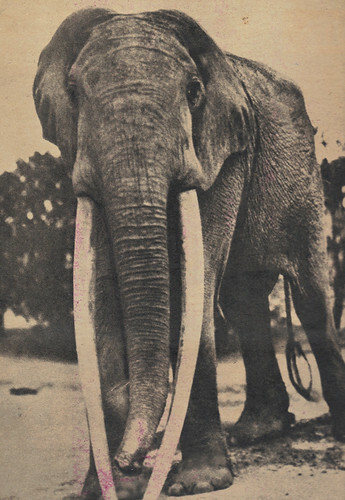 Burdick's restoration work has made him one of the world's leading circus wagon experts. He has made the trip to New York City for roughly the last 15 years, he said, to accompany whichever wagon was sent on the long journey. But he doesn't get to ride in the parade. "I just make sure it gets there safe and sound," Burdick said. "I walk along with the wagon and watch the wheels to make sure everything holds up." The Big Apple Circus pays Circus World to use the wagon each year. 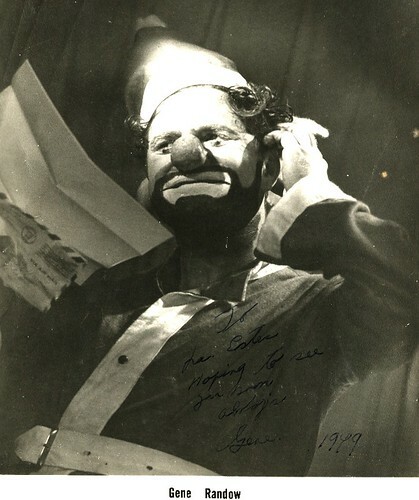 "It's a great opportunity," said Circus World Museum Executive Director Steve Freese. "To have this unique wagon and then be able to participate in the largest parade in the country is pretty significant." 11-23-2011 11;40;47AM, a photo by bucklesw1 on Flickr. 11-23-2011 11;43;59AM, a photo by bucklesw1 on Flickr. 11-23-2011 11;38;39AM, a photo by bucklesw1 on Flickr. 11-23-2011 02;07;35PM, a photo by bucklesw1 on Flickr. 11-23-2011 01;50;52PM, a photo by bucklesw1 on Flickr. 11-23-2011 02;05;50PM, a photo by bucklesw1 on Flickr. 11-23-2011 02;09;44PM, a photo by bucklesw1 on Flickr. 11-23-2011 02;03;44PM, a photo by bucklesw1 on Flickr. 11-23-2011 11;34;17AM, a photo by bucklesw1 on Flickr. !cid_X_MA1_1308404194@aol, a photo by bucklesw1 on Flickr. 11-16-2011 01;56;19PM, a photo by bucklesw1 on Flickr.